Most of us would be excited to go on bike trip atleast once. That is the kind of excitement bike trips create. Often you may hear about people who travel a lot on their motorcycles but you haven't been able to plan one yet. Yes, such travellers make it seem as it is so easy and enjoyable but in reality it takes a while to adjust for such adventure trips. So, it is alright if you haven't done it yet and are planning for one soon. 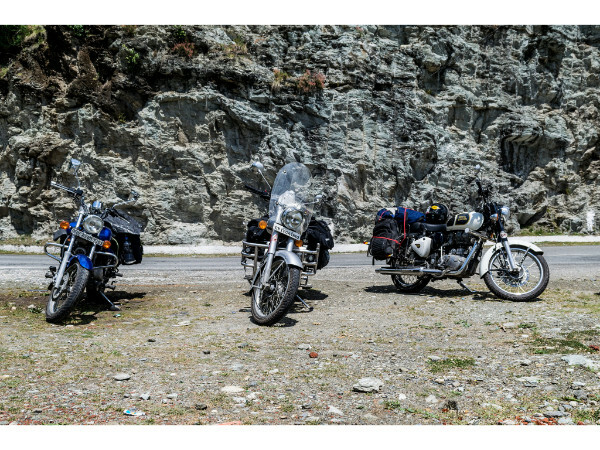 Here are some simple tips for bike trips which will help all the beginners who love their 2-wheelers. It is not advisable to go on an unplanned bike trip especially when you are a beginner. Planning is an essential part of any trip and it applies to bike trips as well. So, choose your destination and the routes you are taking. Better to plan the pit stops beforehand. Yeah, unplanned trips are supposed to be more fun but it is always better to be strategic as it would be easier. Routes and road conditions have to be checked before you start. Poor roads are manageable while going by car but it is tedious during bike trips. Hence, have a clear idea about routes and the hairpin bends if you choose to travel to Ghats.. Season also plays an equal role in your road trip. Better choose destination according to the climatic conditions. Bike Trips is one of the most adventurous and easy-going tours. You may need a lot of things as you tend to be a little haphazard. However, don't burden too much and just carry the necessary clothes. Other things like water cans, torches, route maps (in case gadgets don't get signals), necessary ID cards, License, cash, petrol or diesel cans, tool kits and some snacks are the important things to carry for bike tours. We get overexcited during such road trips but safety is an important thing. Ride in a decent speed and choose a distance which you can cover. No need to plan for extremely long distances as bike rides seem a little longer than it looks like. So, don't become over ambitious while planning. Be realistic and play to your strength. Mind about the speed limits as it will keep you safer. Your motorcycle is the only reliable thing during such trips. So, get it serviced and check whether your vehicle is fit for such long rides. Better to carry a tool kit and petrol or diesel can in case of emergencies. It is one of the most simple tips for bike trips. Bike tours are mind-blowing but tiring as well. Therefore, take enough breaks or pit stops to recharge yourselves. You don't have to rush and get all strained. Get energized and enjoy your journey. If you are planning to camp on the way then find out a place and basic conditions in that area. Safety first! Don't camp in a restricted area or someplace which is not good for human settlements. Find a wilderness which is safe and little accessible to human settlements in case of any mishaps. If this is your first ever bike trip then better choose a short trip. Motorcycle trips can drain you out easily and you may lose the fun. For beginners, it is better to try short distance and then move on to longer distance while planning next tours. Any trip is more fun and happening with a group. Bike trips are also very exciting if you have company. Some people love to go on Solo bike trips and it is fun too. Just be very well-informed about the routes, places, accommodations and other safety measures. You will be riding alone and in some place network may be out of range. One has to be a little more prepared to do solo tours. Hope you enjoyed reading these simple tips for bike trips. No doubt, motorcycle rides are the most amazing journeys that everyone should experience. We are sure it will be happening with all the necessary planning in place!